Road Systems Inc: The USA’s leading manufacturer and developer of guardrail end terminals including the SKT and FLEAT End Terminals. 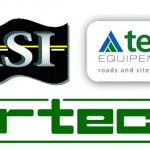 Steelgal NZ: Suppliers of lighting and road safety barrier solutions and New Zealand distributor of RAMSHIELD® and the RHINO-STOP® range of products. Tertu Equipements: A world leader in the market of mixed wood and steel guardrail systems based in France with products sold in more than 40 countries. PASS + Co: Germany’s longest established manufacturers of crash barriers and suppliers to Safe Direction of the BIKER-SHIELD® motorcycle protection barrier. Saferoads International: Developers of the Cyclops-Shield® designed to reduce the impact severity of culvert ends.